It’s a place that offers both stunning natural scenery and vibrant culture, and so it’s no wonder that the Emerald Isle is a popular destination both for tourists and those with their heart set on a relocation. Gambling enthusiasts will love a trip across the Irish Sea, too, but the do’s and don’ts of betting in Ireland are bizarrely ambiguous. In the Republic of Ireland casinos are technically illegal – there have been no updates to the Gaming and Lotteries Act of 1956 to change that. However, certain ‘private’ facilities are able to offer casino games to their members. It's worth noting that in Northern Ireland casinos are outlawed by the Betting, Gaming, Lotteries and Amusements Order of 1985, so there'll be no cheeky jaunts across the border if you want to bet. Confused? You needn’t be: just head to one of these five fantastic venues in beautiful Eire to get your kicks legally! No trip to the Republic of Ireland’s capital would be complete without a trip to the Sporting Emporium Casino, widely regarded as the best in Dublin (check out all those five-star reviews on TripAdvisor for confirmation). Located in the heart of the city, the Sporting Emporium team has somehow managed to strike the perfect balance between luxury and a feelgood party atmosphere that throws off any stuffy pretensions that newcomers to casino gaming may have. There’s a fantastic selection of games in-house, including roulette, blackjack, poker and punto banco, while the Sporting Emporium is the only casino in Ireland to offer Sic Bo games as well. 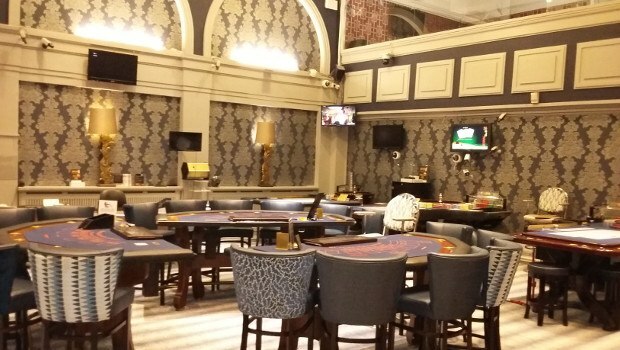 For the poker enthusiasts, there are cash games and tournaments held most weeks to suit all budgets, and for all gamers who love their sport the good news is that the Sporting Emporium boasts dozens of big screens upon which the latest action is shown every night of the week. The main competitor to the Sporting Emporium is Fitzwilliam Casino & Card Club, a venue renowned for its serious approach to gaming. Alcohol is not served on the premises, which means that ‘fair weather’ punters tend to head to the Sporting Emporium or elsewhere; in turn, that ensures a more ‘professional’ ambience here. But there’s still plenty of live sports action to take in on the big screens, with pay-per-view events such as box office boxing offered gratis to members. Membership itself is completely free of charge. 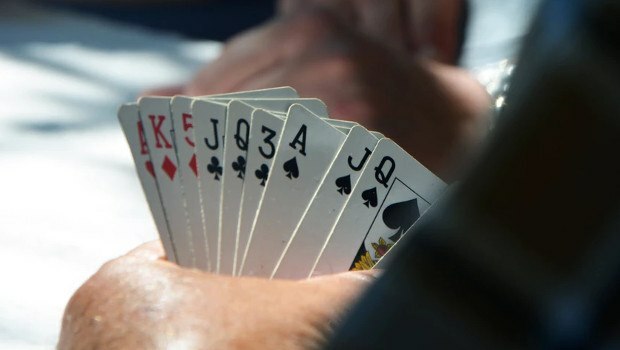 The Fitzwilliam plays host to a number of prestigious poker tournaments each year, with monthly events offering prize pools of €30,000 open to entries from players of all abilities. In addition, you'll have your choice of roulette, blackjack, punto banco and brag all playable each night from 6pm to 6am. This venue might sound like some kind of 1970s prog rock act, but it is in fact a games house in the heart of Dublin’s bustling city centre. The Good Time Emporium is, by all accounts, a venue that specialises in computer gaming. They offer state-of-the-art consoles from the likes of Sega, Konami, NAMCO and more, so the feeling is one of informality, with a fairly youthful audience. 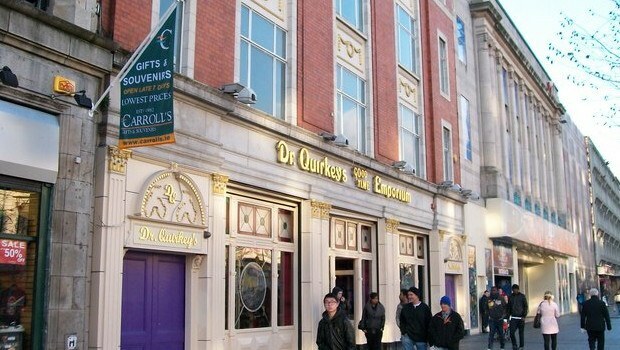 The ace up Dr Quirkey’s sleeve is their own on-site casino, which is actually only open to those aged 21+ rather than 18+. Here, punters can get stuck into poker and roulette, as well as dozens of slot machines sourced from the finest names in the industry. This venue offers free tea and coffee to gamers and there's even a section dedicated to younger children, with soft play zones, video games, basketball hoops and much more. The perfect day out for all the family! If you are taking a trip outside of Dublin, the Macau complex in Cork should be your first port of call. Measuring a cool 13,000 square feet, the casino features roulette, blackjack, various versions of poker and baccarat, with players of all abilities invited to get stuck in. There are banks of video slot machines too, so you can spin the reels to your heart’s content here. Membership is free and more of a symbolic than regulatory gesture, and trips both as an individual or as part of a group are welcomed. The Macau will even provide corporate hospitality for large groups who book in advance. 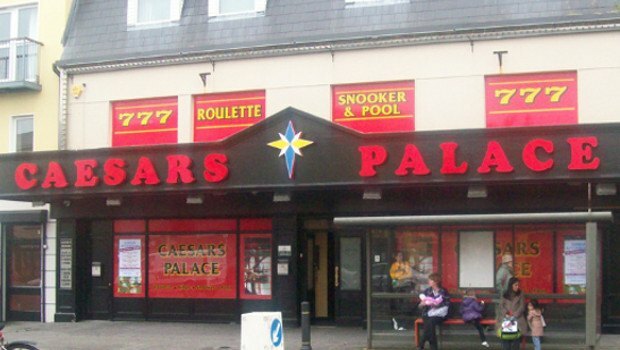 Bringing a touch of Las Vegas style to Ireland is Caesar’s Palace, an independent casino based in Salthill, Galway. This venue is much beloved thanks to its unique promotions and bonuses offer, known as the Vantage Club Card. This delivers goodies to members throughout the week, including cash prizes, shopping sprees and entries into tournaments with some rather handsome jackpots to be won. Caesar’s Palace is most commonly associated with bingo, but their games room is home to a plentiful selection of poker, roulette and blackjack games, with free tea, coffee and biscuits handed out to parched players.